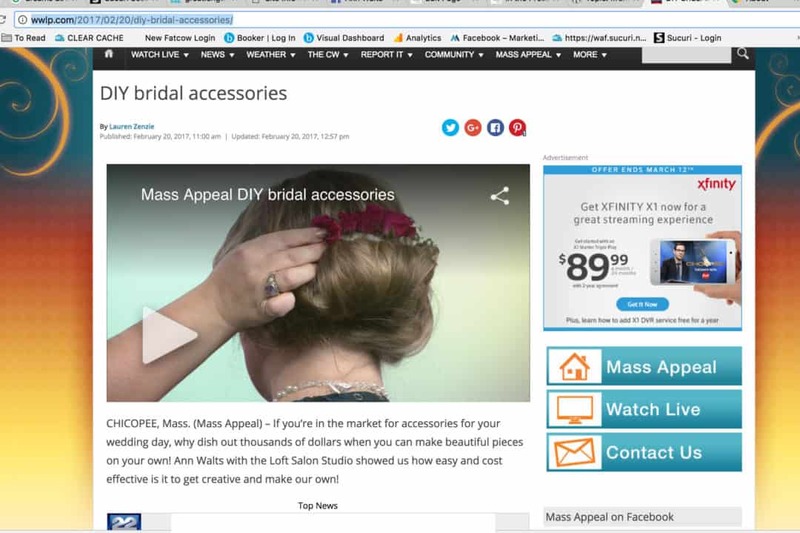 How To Make Bridal Accessories! Creating a memorable wedding event takes time. There are some fun ways to make veils for creative and sentimental reasons. At the same time, you can save mone. If you book and then cancel, on the same day you booked with us….then you will be charged a 100% Broken Appointment Fee. It is not personal. It is simply our policy. Hair, Photography & Website by Ann Marie Walts. Best Hair Extension & Hair Color Salon In Ma. 2017-2018 Copyright -Prices are subject to change without notice. DO NOT USE MY PHOTOGRAPHY OR PLAGARIZE any portion of this site(s).